At the end of a historically frigid week, another scoop of frozen news has arrived, one that will undoubtedly be more welcome in the Chippewa Valley than the polar vortex: For the first time in 75 years, Olson’s Ice Cream will be serving up its signature product somewhere other than its quaint shop on Bridge Street in Chippewa Falls. On Friday, Feb. 1, Olson’s revealed that it is expanding into Eau Claire with a 2,300-square-foot store inside Haymarket Landing, a mixed-use building at the corner of South Barstow and Eau Claire streets. The new store is expected to open this spring. “Olson’s has had plans to come to Eau Claire since the ’80s, and we are excited to finally make it happen,” said Jeremy Hunt, Olson’s co-owner and general manager. Back in January, the legendary local purveyor of frozen treats, announced it would be expanding into Eau Claire, but kept the spot a secret until Friday morning. 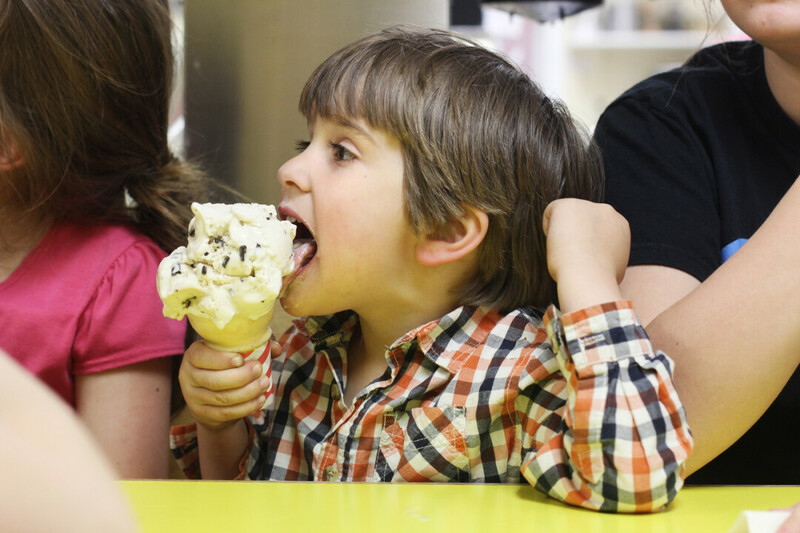 Olson’s held a contest on its Facebook page, soliciting guesses about the location of the new store and promising free ice cream for a year to three customers who guessed the new site correctly. Nearly 1,200 people submitted guesses, many of them pointing to the former Smiling Moose, 329 Riverfront Terrace, or the former Lynn’s Chatterbox Cafe, 1410 S Hastings Way, as potential locations. At a press conference, the Hunts said they are aiming to open the new location at 80 S. Barstow St. by Memorial Day. The shop will have 50 to 70 seats – including, most likely, some on the sidewalk along Barstow Street – and will create as many as 25 new jobs, the Hunts said. The expansion will entail some new offerings beyond its signature ice cream flavors such as Butter Pecan and Chocolate Monster. “With two locations, we will be able to bring even more treats to our customers, and we’re developing some new products for the spring opening,” Jeremy Hunt said. While Olson’s has considered staking a claim in Eau Claire for years, Jeremy Hunt’s decision to join the family business last year helped push the idea into reality, Dan Hunt said. The family considered numerous sites around the city – including near Oakwood Mall, on Clairemont Avenue, and elsewhere – before settling on the Haymarket Landing storefront, which has been empty since the mixed-used building opened in 2016. 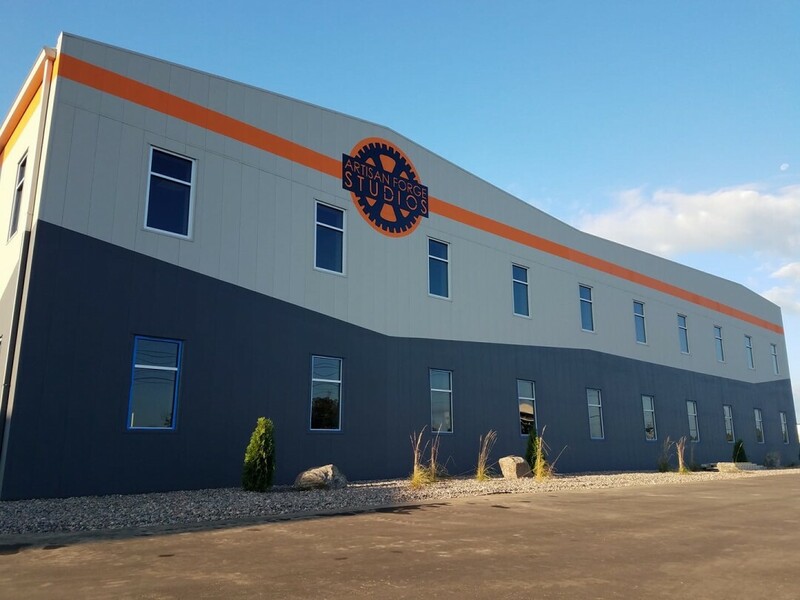 “It’s a beautiful location, a beautiful building, and we can’t wait to open in Eau Claire,” said Dan Hunt, adding that the site’s proximity to the Pablo Center at the Confluence, Phoenix Park, and other downtown amenities made it ideal. The Hunts are working with contractor Market & Johnson and River Valley Architects to design and build the shop. 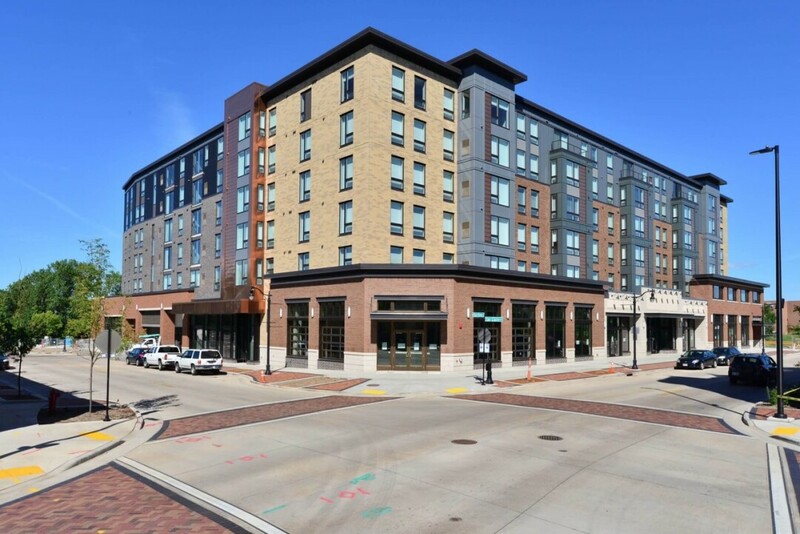 Haymarket Landing features a floor of commercial space below five floors of UW-Eau Claire student housing – meaning 400 potential customers will literally be living in the same building. The new Olson’s will be the second ice cream shop to open in downtown Eau Claire in recent years. In 2017, Blayne and Kayla Midthun opened Ramone’s Ice Cream Parlor at 503 Galloway St. – just a few blocks from Haymarket Landing. Blayne Midthun said the downtown location – which is right off the bike trail and next to two busy streets, Farwell and Galloway – has been a big factor in Ramone’s success. “Of course it would be nice if we could continue to be the only ice cream parlor in downtown Eau Claire, but we know that we can’t control what’s going on outside of our doors,” Midthun said. “Today, people have many options for where they will eat, drink coffee, (and) be entertained, and now they will have another option for ice cream,” he added. Ramone’s sells Madison-made Chocolate Shoppe Ice Cream, as well as sundaes, malts, pies, and craft sodas. Olson’s founder Albert J. Olson began making “homaid” ice cream with a partner at Knapp Dairy in 1923. In 1944, he relocated to Chippewa Falls to open Olson’s Creamland Dairy, where he processed milk and made ice cream. Today, the business is still in the same building at 611 N. Bridge St. In 2007, the Olson family sold the business to the Hunt family, who continue to operate it. While Olson’s Ice Cream has been previously been served up at other locations – including numerous restaurants, Festival Foods, and the 9 Degrees ice cream cart – this will be the first time Olson’s itself has opened a new location since the Second World War. A landmark at the “original” Olson’s is a larger-than-life ice cream cone that tempts passersby from the sidewalk. Dan Hunt said he plans on getting a similar giant cone for the Eau Claire shop, either to place on the sidewalk or on the awning above the front door as a visual cue to the delicious treats being scooped inside. Learn more at olsonsicecream.com or by finding Olson’s Ice Cream on Facebook. We’ve got some news for coffee lovers, pinball pros, and art explorers alike: Pablo properties announced Monday morning they will open a new coffee and pinball lounge in Artisan Forge Studios (1106 Mondovi Rd.) during the last week of February. The venue, appropriately named Skill Shot, will offer coffee drinks, tea, craft beer, wine, and food to enjoy while plunking away on a selection of pinball machines. Quieter areas will be available in the modern site for meetings, quiet study sessions, or chill time. Skill Shot and Artisan Forge will work together to build an even more vibrant community of visitors to the area, according to Artisan Forge founder Greg Johnson. “I am most excited to see a café full of people who have made Artisan Forge Studios a destination as a result of Skill Shot and the amazingly talented individuals of the Artisan Forge community,” he said. After the opening in February, Skill Shot’s hours will be Monday-Friday 7am-7pm and Saturday 8am-2pm. Area businesses in the Chippewa Valley are stepping up to help area federal employees affected by the government shutdown. Below is a short list of businesses that are offering assistance or promotions to aid furloughed federal employees during the shutdown. Affected federal employees should bring an employee card to access these promotions. 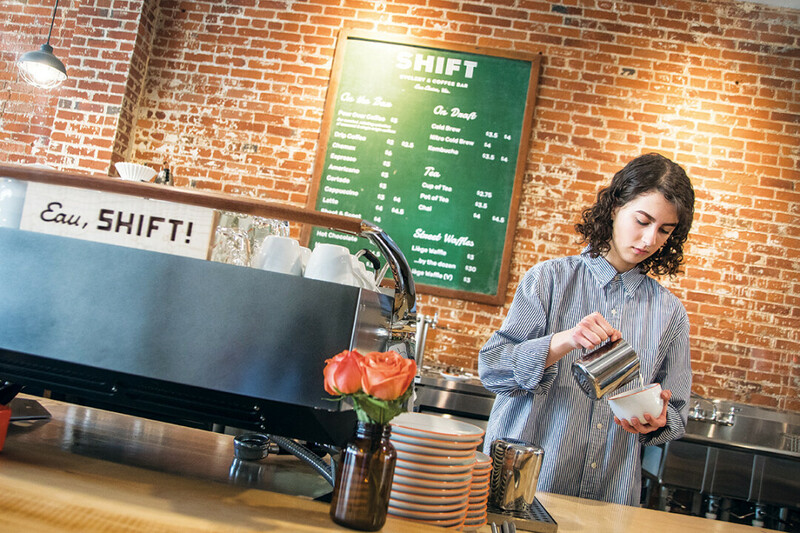 615 Graham Ave, Eau Claire • web • (715) 514-5060 • SHIFT is inviting federal workers to enjoy a free coffee every day during the shutdown. 2930 Craig Rd, Eau Claire • web • (715) 835-3348 • Shanghai Bistro is offering free take-out meals for the duration of the shutdown. 4324 Southtowne Pl, Eau Claire • web • (715) 552-8000 • Great Harvest Bread has opened the "Shutdown Shelf", offering a free load of bread to federal employees and their families during the shutdown. Offering 1 loaf per week per household. promotions to furloughed federal employees? Jefferson Starship lyrics might be the least rock n roll way to describe Rock Fest, but “we built this city on rock n roll” is – all things considered – a pretty fair sum-up of what goes down on Cadott’s festival grounds every summer. 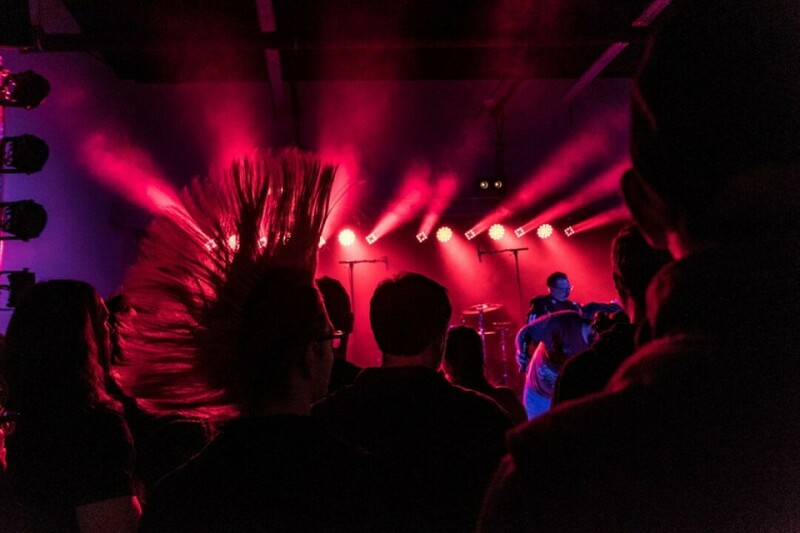 It is, quite accurately, a city of its own – a place where rock fans of all ages, shapes, and sizes can come together for a heavy-hitting weekend of some of the genre’s greats. And today, the fest announced its 2019 lineup for its 26th year, happening July 18-20 (with an extra so-called Bonus Bash on July 17). 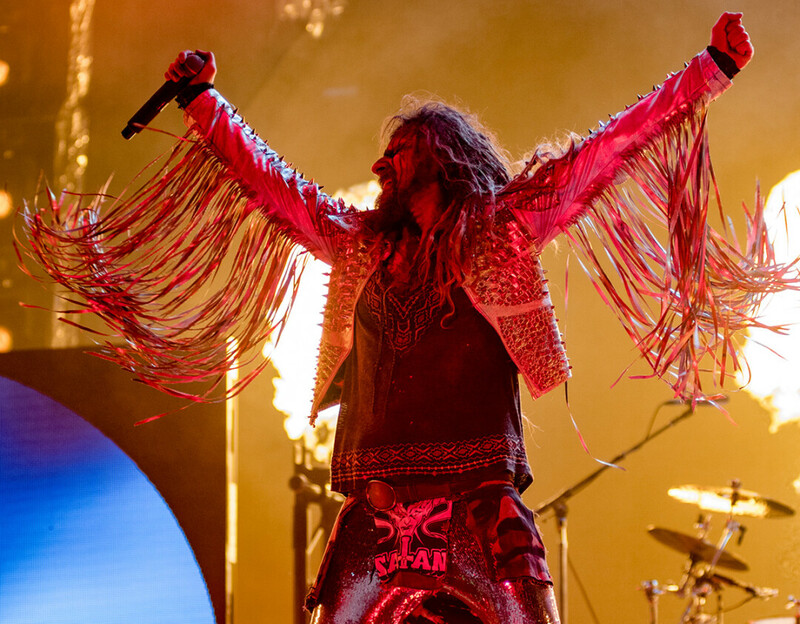 Topping off the list of nearly 70 bands is big names like Marilyn Manson, Rob Zombie, Five Finger Death Punch, Breaking Benjamin, Mastodon, and Evanescence. As always, it’s sure to be a grand time as the grounds get transformed into the biggest rock party the area has ever seen. 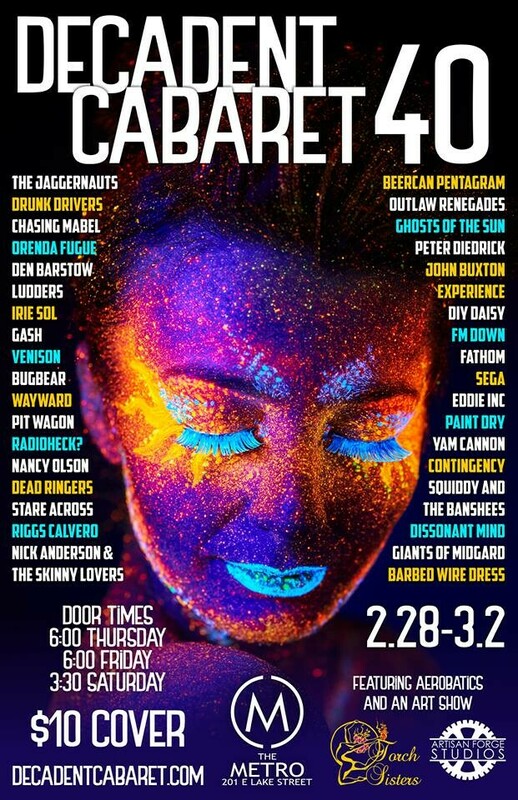 Plenty of the biggest names in rock will perform, some choice tribute bands, and local band Stare Across is on the lineup as well (shout out to them). All Lure Lock Top Tier Lounge, VIP, Reserved Lawn, 3-Day and 1-Day GA tickets are on sale right now – plus VIP and GA camping. You can find that and lots more at www.rock-fest.com. Go get ‘em. 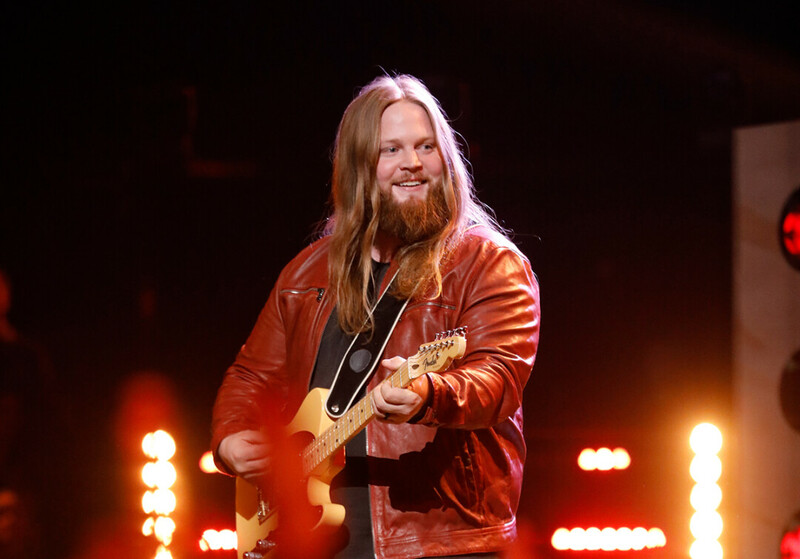 Barron native and finalist on The Voice, Chris Kroeze gained tremendous national exposure in 2018. In March, he’ll return to the area for a show at the Pablo Center. UPDATE: The Pablo Center has since announced two additional Chris Kroeze shows following the sell-out of the original March 29 performance. All three shows (March 29 at 7pm, March 30 at 7pm, and March 30 at 9:30pm) have sold out! The Pablo Center at the Confluence announced Monday that nationally celebrated Barron, Wis. musician Chris Kroeze will headline at the RCU Theatre March 30 at 7pm. The singer-songwriter was the runner-up in NBC’s singing competition program The Voice, where he was coached by country megastar Blake Shelton. His performance at The Pablo Center will include a mix of songs that he performed on The Voice, covers, and his own original music. Kroeze said he feels fortunate to be backed by top-notch musicians, and confident that it will be a fun show. “For me it was the entire culmination of what we built the building for.” Pablo’s Executive Director Jason Jon Anderson said. “The building is sort of meant to highlight the best of national and international talent, but also to elevate local. Chris is the culmination of both of those things into one.” It is Anderson’s hope that musicians such as Kroeze will think of the Pablo Center as their homebase as more locally grown talent finds success. St. George Jones is excited to see Kroeze, as a local musician, take the same stage as national acts such as The Blind Boys of Alabama and Les Ballets Trockadero de Monte Carlo. Kroeze is thankful for the support he has received from his hometown and the Chippewa Valley during and after his run on The Voice. Ticket sales open to the general public on Thursday, Jan. 31, after a two-day presale for Pablo Center members Jan. 24-25. For more information or to purchase tickets, visit pablocenter.org. January 15, on stage in the RCU Theater at the Pablo Center on the Confluence: Jamf Software CEO Dean Hager (left) and Eau Claire City Manager Dale Peters. In Medieval times, receiving a key to city was a great honor, signifying that the recipient could come and go from a walled fortress at will. Eau Claire has no walls – only a couple of rivers and a now-famous confluence – and it hasn’t given out ceremonial keys in decades. 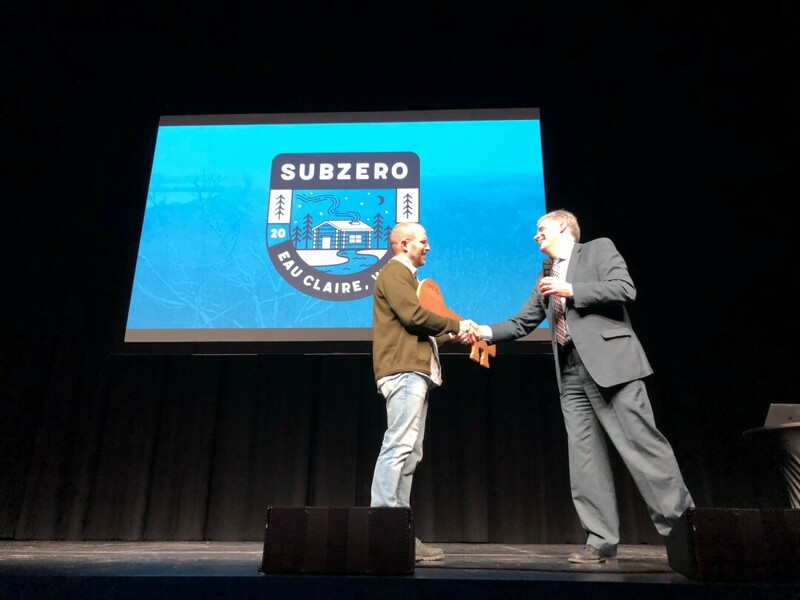 That changed Tuesday when City Manager Dale Peters handed an oversized wooden key to Dean Hager, CEO of Jamf Software, the Eau Claire-born firm that is holding its annual SubZero employee conference in town the week. SubZero has drawn about 800 Jamf employees from 15 countries for a mid-winter confab at the Pablo Center at the Confluence (the arts center built, in part, through the generosity of Jamf’s co-founder, Zach Halmstad, and his business partners, Jason Wudi and Julia Johnson, also early Jamf-ers). The annual gathering has traditionally been held in Minneapolis, site of Jamf’s headquarters and largest office, but the company decided to return to its roots this year, in part because the Pablo Center provides a spacious enough home for the all-employee gathering. Peters gave key to Hager, the CEO, in a Tuesday morning ceremony in the RCU Theatre. In an interview, Peters said he didn’t recall such a key being given out before during his 30 years with the city. 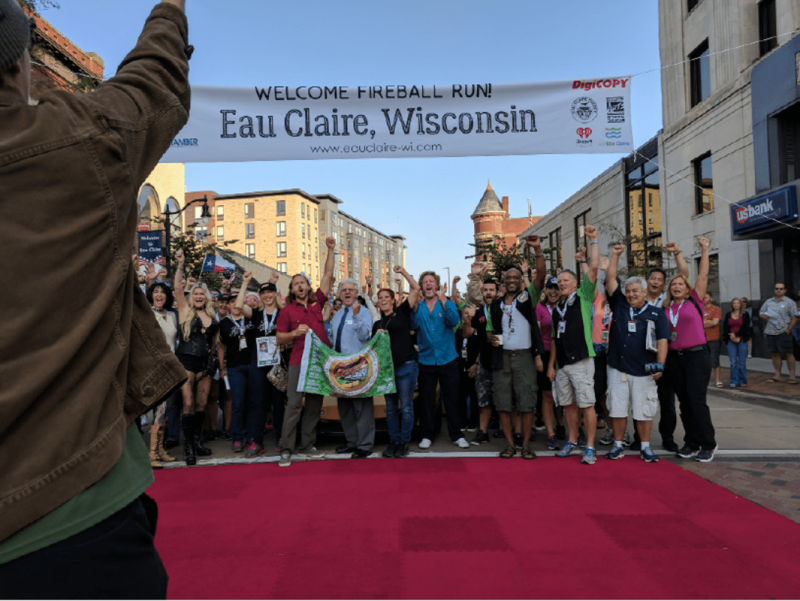 The sign of civic respect was the brainchild of City Councilwoman Catherine Emmanuelle and Visit Eau Claire, the region’s tourism promotion agency. Jamf was honored in a uniquely Eau Claire fashion: Peters said the key was made from reclaimed ash wood from city trees. “The community is very proud of Jamf, and the community is very proud to be part of Jamf’s history,” Peters added. Can we expect the city to begin giving out more keys? Perhaps, Peters said, although before that happens we can expect the city to develop procedures and guidelines on the who, when, where, and how of such civic honors. Local Fireball Run team car. The latest season of the TV series Fireball Run, which was recorded partly in Eau Claire, makes its debut Jan. 15 on Amazon Prime. The series – a combination road rally and life-sized trivia competition – began its 11th season in Eau Claire, and the city and its sights are featured prominently in several episodes. 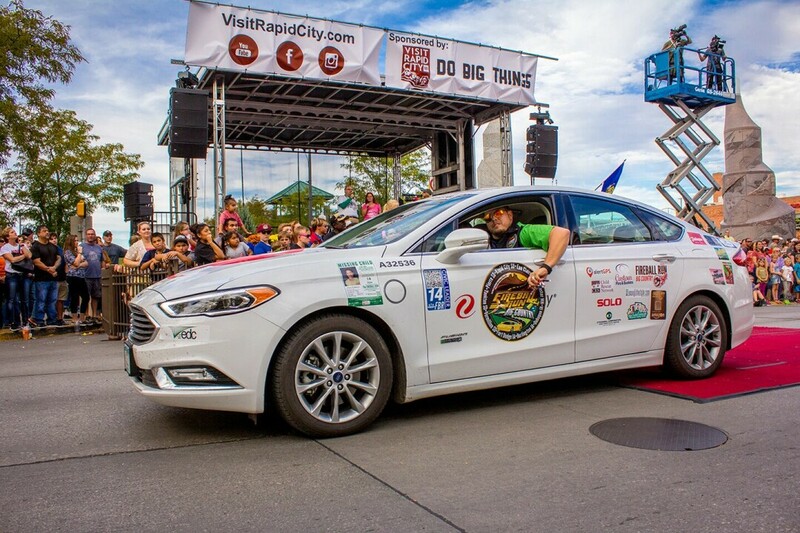 Forty teams – including one from the Chippewa Valley – departed the “green light city” in September 2017 and traveled 2,000 miles across the Midwest to Rapid City, South Dakota. The local team consisted of Luke Hanson (executive director of the Eau Claire Area Economic Development Corp.) and Julie Thoney (community service and economic development manager of Xcel), who won first place in the competition’s Alternate Fuel Class. Rather than racing from one town to the next, “Driving teams are tasked with clues which, if solved on time, lead to an array of amazing artifacts, physical challenges, and unusual experiences spanning the Midwest,” a press release stated. Offbeat destinations included the Minnesota birthplace of water skiing and the location of the real “American Gothic” in Iowa. All 30 episodes of the season are available to stream by Amazon Prime members. The Fireball Run starting line. It’s truly a landmark year for Decadent Cabaret, one of Eau Claire’s longest running musical institutions. The locally grown music festival – which often finds a multitude of local bands doing elaborate tribute sets – is celebrating its 40th anniversary this spring with a killer lineup of 34 different acts. It all goes down over three full days and nights of music Feb. 28 through March 1 at the fest’s new home The Metro. After four decades of bringing together some of the best bands in the Chippewa Valley music scene, there’s clearly no steam lost. And hey, in addition to all the face-melting music, the Torch Sisters will perform and there will be a full art gallery by Artisan Forge Studios. Nightly tickets are $10, but $25 will cover all three nights. 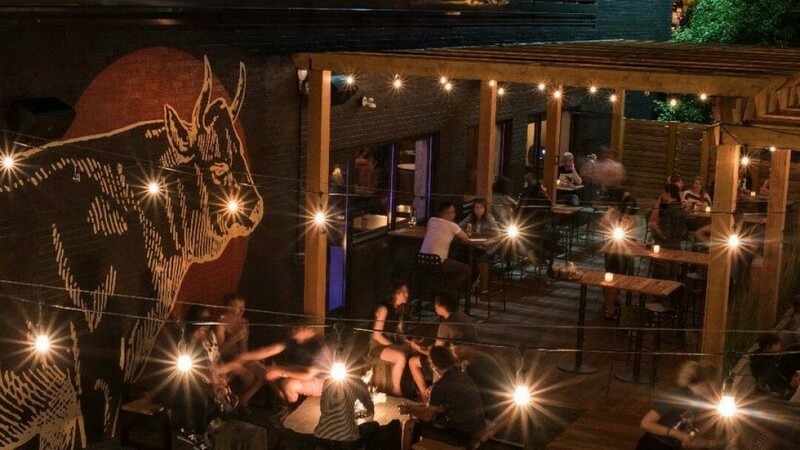 Check it out – the Chicago Tribune lists Eau Claire on a roster of "9 must-see destinations worth a visit in 2019" – a list that includes mostly larger midwestern cities such as Detroit, St. Paul, Columbus, St. Louis, and more. The short writeup mentions our outdoorsiness, local events, the Pablo Center, The Oxbow Hotel, Eaux Claires, and as you may have guessed, a musician named Justin Vernon. It also manages to mention Brooklyn, Austin, and Portland in the first sentence. But hey, it's always nice to get a little attention, especially when we're placed alongside so many great, well-established communities. Last month, Wisconsin Public Radio took a deep dive into a public television show many of you have seen ... but perhaps only vaguely remember. Like all good epic adventures, PBS’s low-budget live-action educational show Storylords has passed into legend. But like Tolkien’s Ring of Power (“...it wants to be found...”) the show has emerged from the obscurity of random remembrances to the slightly less obscure realm of YouTube, where it’s been racking up tens of thousands of views, presumably from people who grew up with it. 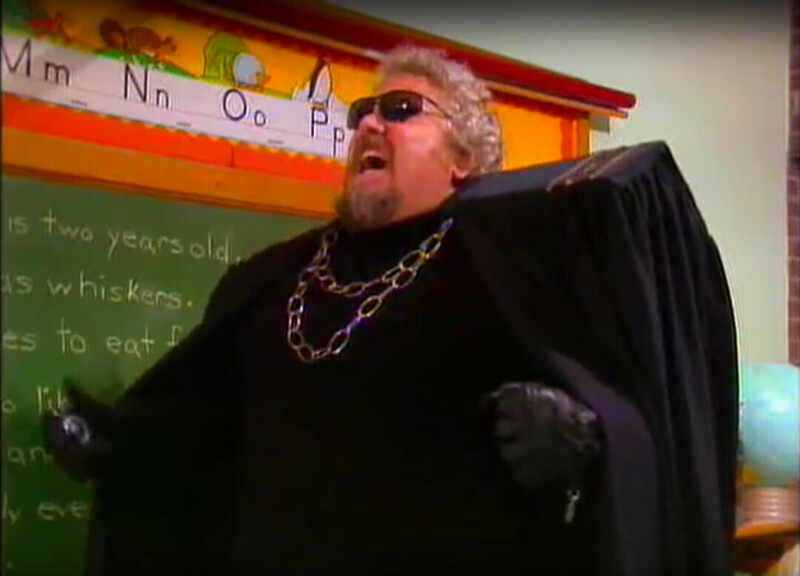 The short-lived show was no Sesame Street or Magic School Bus, but it was still memorable ... in its own quirky way. Storylords consists of twelve 15-minute programs, produced in 1984 and aired in the ’80s and ’90s. It focuses on building reading comprehension strategies through the use of fantasy storylines where a brother and sister are drafted into a secret magical battle spilling over from a different planet. As is the case in all battles betwixt good and evil, excellent reading skills are required to thwart the bad guys. What many people who remember the show – even Chippewa Vallians – don’t realize is that it was produced at the University of Wisconsin–Stout. The WPR piece does a fantastic job resurrecting the Storylords backstory, interviewing the show’s producers and, of course, the actors – such as Tanya Tiffany who played the hero “Mandy.” And best of all, they talked with Larry Laird who played the show’s caped, sunglasses-rocking villain Thorzuul, who seeks to turn all those who can't understand what they read into stone statues. We had a local WPT production outlet here (in Menomonie). We were assigned most of the educational programming from ECB. That was based on whatever the need was in Wisconsin at the time. ... We spent two years on the program. The first year-and-a-half was spent on research, methodology, reading strategies and the educational process. Then, we hired writer Jed MacKay … He came up with the "Storylords" concept. We filmed around town, away from the studio ... Thorzuul's lair? OK let's go inside Mabel Tainter Theater or the library. We filmed at Menomonie East School — it still stands. All the kids would show up. We’d set up a wide shot in the classroom, then they'd go outside and play. After a while, we'd have them do lines. We'd do at least two (episodes) every day in the school. As for the actors, all the extras we got from the UW-Stout theater department. The kids were just kids. ...but not the one it deserves. The House on the Rock Is Fake!